Soft tissue abscess due to cocci. Pulmonary cocci spherule (hematoxylin and eosin stain). Go to Coccidioidomycosis, Ocular Coccidioidomycosis, and Coccidioidomycosis Imaging for complete information on these topics. The triad of fever, erythema nodosum, and erythema multiform may occur. Erythema nodosum and erythema multiform have a strong predilection for female patients. Migratory arthralgias are common. The lesions have a predilection for the nasolabial fold. Erythema nodosum and erythema multiforme may occur; as previously stated, these have a strong predilection for female patients. Erythema nodosum may manifest as painful subcutaneous nodules and are typically located on the lower extremities. Erythema nodosum may be the first sign of systemic disease. Less commonly, erythema multiforme may develop instead of erythema nodosum, resulting in the typical target lesions. The triad of fever, erythema nodosum, and arthralgias is called desert rheumatism. Testing is available in the United States for assessing the cellular immune response in persons with coccidioidomycosis. Data suggest that archived coccidioidin retains its potency and specificity and that in vitro tests of coccidioidal immunity may have utility in the measurement of coccidioidal cellular immunity. A dermal delayed-type hypersensitivity reaction to coccidioidin is highly specific for coccidioidal infection. However, a positive result may not be related to currently acquired disease, because, in most persons, this skin test result remains positive for life after infection. Although skin test results are useful for epidemiologic studies, the test has important limitations when it is used as a screening procedure for recent infections with C immitis. In patients in whom coccidioidomycosis is diagnosed with the help of other tests, the results of skin testing may have prognostic significance. With skin testing, the induration of the skin is measured at 24 hours and 48 hours after coccidioidin is injected intradermally. An induration greater than 5 mm is considered reactive. Erythema at the injection site does not aid in the diagnosis of coccidioidomycosis. Primary inoculation disease results in a dense, mixed, inflammatory dermal infiltrate with occasional giant cells and the formation of small abscesses. Spores may be evident, although hyphae are less likely to be present. The occasionally associated erythema nodosum has typical histologic features, with no alterations suggestive of coccidioidomycosis. The same is true of erythema multiforme, which is less commonly linked to coccidioidomycosis. In some patients, especially those with extensive dermal involvement, debridement and drainage of the infected sites may be critical in controlling the infection. A reason for performing this procedure may be that the spherule wall, a strong stimulus for inflammation, cannot be degraded easily or cleared from large coccidioidal lesions by macrophages and other elements of the reticuloendothelial system. Therefore, even if therapy is effective in arresting fungal proliferation, fungal debris that is already present may continue to cause tissue destruction until it is surgically removed. Welsh O, Vera-Cabrera L, Rendon A, Gonzalez G, Bonifaz A. Coccidioidomycosis. Clin Dermatol. 2012 Nov-Dec. 30(6):573-91. [Medline]. Schwartz RA, Lamberts RJ. Isolated nodular cutaneous coccidioidomycosis. The initial manifestation of disseminated disease. J Am Acad Dermatol. 1981 Jan. 4(1):38-46. [Medline]. Canteros CE, Vélez H A, Toranzo AI, Suárez-Alvarez R, Tobón O Á, Del Pilar Jimenez A M, et al. 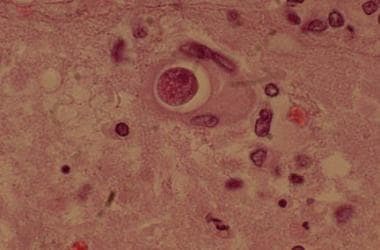 Molecular identification of Coccidioides immitis in formalin-fixed, paraffin-embedded (FFPE) tissues from a Colombian patient. Med Mycol. 2015 Apr 23. [Medline]. Liang G, Shen Y, Lv G, Zheng H, Mei H, Zheng X, et al. Coccidioidomycosis: Imported and possible domestic cases in China: A case report and review, 1958-2017. Mycoses. 2018 Jan 31. [Medline]. Molina-Morant D, Sánchez-Montalvá A, Salvador F, Sao-Avilés A, Molina I. Imported endemic mycoses in Spain: Evolution of hospitalized cases, clinical characteristics and correlation with migratory movements, 1997-2014. PLoS Negl Trop Dis. 2018 Feb. 12 (2):e0006245. [Medline]. Wilson L, Ting J, Lin H, Shah R, MacLean M, Peterson MW, et al. The Rise of Valley Fever: Prevalence and Cost Burden of Coccidioidomycosis Infection in California. Int J Environ Res Public Health. 2019 Mar 28. 16 (7):[Medline]. Colson AJ, Vredenburgh L, Guevara RE, Rangel NP, Kloock CT, Lauer A. Large-Scale Land Development, Fugitive Dust, and Increased Coccidioidomycosis Incidence in the Antelope Valley of California, 1999-2014. Mycopathologia. 2017 Jan 13. [Medline]. Kaffenberger BH, Shetlar D, Norton SA, Rosenbach M. The effect of climate change on skin disease in North America. J Am Acad Dermatol. 2017 Jan. 76 (1):140-147. [Medline]. Mease L. Pulmonary and extrapulmonary coccidioidomycosis, active component, U.S. Armed Forces, 1999-2011. MSMR. 2012 Dec. 19(12):2-4. [Medline]. Smith JA, Riddell J 4th, Kauffman CA. Cutaneous Manifestations of Endemic Mycoses. Curr Infect Dis Rep. 2013 Aug 6. [Medline]. Nicas M. A point-source outbreak of Coccidioidomycosis among a highway construction crew. J Occup Environ Hyg. 2018 Jan. 15 (1):57-62. [Medline]. Benedict K, Park BJ. Invasive fungal infections after natural disasters. Emerg Infect Dis. 2014 Mar. 20(3):349-55. [Medline]. [Full Text]. Medoza N, Noel P, Blair JE. Diagnosis, treatment, and outcomes of coccidioidomycosis in allogeneic stem cell transplantation. Transpl Infect Dis. 2015 Feb 14. [Medline]. Jehangir W, Tadepalli GS, Sen S, Regevik N, Sen P. Coccidioidomycosis and Blastomycosis: Endemic Mycotic Co-Infections in the HIV Patient. J Clin Med Res. 2015 Mar. 7(3):196-8. [Medline]. [Full Text]. Wheeler C, Lucas KD, Mohle-Boetani JC. Rates and risk factors for Coccidioidomycosis among prison inmates, California, USA, 2011. Emerg Infect Dis. 2015 Jan. 21(1):70-5. [Medline]. [Full Text]. Garza-Chapa JI, Martínez-Cabriales SA, Ocampo-Garza J, Gómez-Flores M, Ocampo-Candiani J, Welsh O. Cold subcutaneous abscesses as the first manifestation of disseminated coccidioidomycosis in an immunocompromised host. Australas J Dermatol. 2016 May. 57 (2):e49-52. [Medline]. Singh G, Patel T, Hu S. Disseminated cutaneous coccidioidomycosis in a liver transplant patient. JAAD Case Rep. 2015 Jul. 1 (4):225-6. [Medline]. Buot G, Bachmeyer C, Haettich-Pialoux B, Bélangé G, Thiébaut JB, Dupont B, et al. [Coccidioidomycosis revealed by specific cutaneous lesions occurring after placement of a ventricular cardiac shunt for chronic meningitis]. Presse Med. 2008 Jun. 37(6 Pt 1):970-4. [Medline]. Carpenter JB, Feldman JS, Leyva WH, DiCaudo DJ. Clinical and pathologic characteristics of disseminated cutaneous coccidioidomycosis. J Am Acad Dermatol. 2010 May. 62(5):831-7. [Medline]. Foerter J, Sundell J, Vroman P. PET/CT: First-Line Exam To Assess Disease Extent of Disseminated Coccidioidomycosis. J Nucl Med Technol. 2016 Apr 21. [Medline]. Brewer AC, Huber JT, Girardo ME, Kosiorek HE, Burns MW, Stewart TD, et al. Cutaneous effects associated with fluconazole in patients treated for coccidioidomycosis. Int J Dermatol. 2019 Feb. 58 (2):250-253. [Medline].